One of my favorite things to do is pick apart marketing pieces. One of my favorite things to do is pick apart any marketing piece…including my own. *I don’t know that this actually exists – I made the Miss Kitty part up, but I am afraid to go check, as I would not be surprised if it does. You know, that phrase given to first year marketing students for a question that must be asked in every – good – form of advertising or marketing. I want to sell you cat litter. Technically I took care of the WIIFM – you get to “own the best.” But it is not really a great motivator buy itself. Ok, I snuck something else into the second phrase…did you catch it? Fear can be a great motivator if used correctly…and fairly. In this case, who wants their house to smell? Sure, maybe the litter you are using today does not make your house smell…but if it does…even a little…I have your attention. You covered the first rule…and even the second to a degree. I know if I call you, I get a free quote (WIIFM). It’s that end all “why” that is kind of vague. It is a legitimate question…and a legitimate fear. I also now have a real “why” I want to sell this note. A lot of times we know what’s in it for us… and it’s not enough. 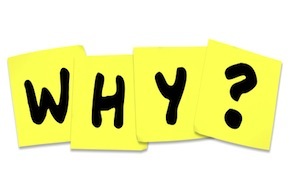 Add the “why” and you might just get your phone to ring. Want to send me your marketing piece and let me comment on it? I will be as nice as possible…but I will be blunt (if that makes sense). Can’t promise I can get to them all, but you never know. Send a request via our “Contact Us” page. Are you a member of the Finding Cash Flow Training Course? Please know this is a service we already include for all members. All you need to do is Login Here and contact us through the training.